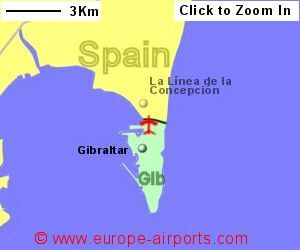 Find and compare the best prices from a range of well known car rental companies at Gibraltar Airport. This is a free to use facility, enabeling you to book direct with the company quoting the price. A new terminal building was opened in 2012 and work has started to divert the road which currently crosses the runway. 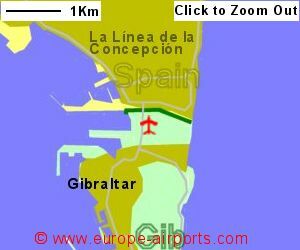 The airport runs alongside the Spanish border. If Gibraltar is your destination, communication is not too much of a problem, the city centre is within walking distance of the airport. Buses and taxis are available however. If intending to drive a hire car in Spain, it may be quicker to cross the border on foot, then hire the car in Spain. Facilities include 2 bars/restaurants, 9 shops, 2 ATMs (dispensing both Pounds and Euros), free WiFi Internet access, phone and laptop charging points, and a business lounge. Passengers totalled 5571,000 in 2017, a 4% increase compared to the previous year and its busiest year yet.